As businesses continually transfer more and more of their print-based operations to digital ones, it might seem like there's no room in the world for print services. That's simply untrue: There is still and there will always be a need for the printed document. 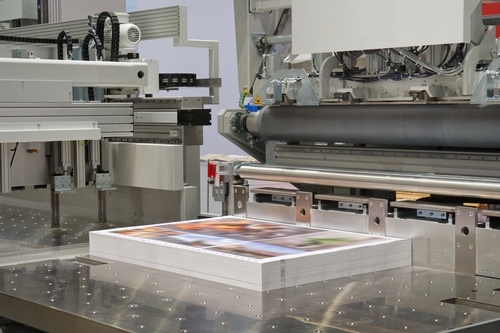 In fact, with everything becoming digital, the need for print becomes even more urgent, because when a company needs print products, they usually need them urgently, and no longer have the infrastructure to manage printing themselves. That's why ChannelPro contributor Simon Tetlow deemed 2016 "the year of the print specialist." According to Tetlow, as businesses move to electronic document storage systems, the complexity and urgency of document management increases a lot, and the cost of maintaining a large complement of printers that are able to print a wide range of document styles and formats on demand is simply too high for many small businesses. Document management is a big concern for companies. Organizing the wide range of documents that businesses need using electronic document management solutions are often clunky, complex and slow, and while businesses may have trimmed down the number of filing cabinets filled with records, documents and forms, they still need to have print on hand. Many documents need to be in paper for various reasons: many documents need to have physical copies because of legal concerns and compliance issues, while others are simply used frequently enough that they need to have print counterparts. There are plenty of documents that need to stay in paper simply because they are too sensitive to be a part of an electronic document management system. There are a number of reasons why many documents and records that businesses use need to have readily-accessible printed copies. There's no substitute for the ease of use, legibility and familiarity with paper. It's been a staple of businesses for – quite literally – centuries. Electronic document management is often a mess of competing file formats and document standards, with DOCX side by side with PDF next to a PPTX being inexplicably used for a brochure design. It's where an entire directory can be deleted by an errant click. It's very important to ensure that documents are thoughtfully managed, which is why Tetlow recommended using a print specialist in the first place. Of course, partnering with a managed print service can help companies with ensuring that they have the documents they need. Companies can make sure that they have the necessary print products on hand, and are able to flexibly react to changing business needs. The best managed print services can handle a multitude of document types and formats. They can print on a wide range of paper stock as well as harness complex printing methods like thermal printing and UV printing. A partnership with a print service provider makes printing to a business's exact specifications and with its brand identity intact simple. Having the ability to get the paper forms and documents that an organization needs on demand is a boon to businesses, even those that make the commitment to cut down on paper.